Disciples of Padmabhushan Smt. Sharan Rani and Pt. Uma Shankar, Lakshay Mohan & Aayush Mohan Gupta are known for connecting with all kinds of listeners while persevering essence of their Maihar Gharana in their music. Their unique style of Jugalbandi has charmed connoisseurs of music and mainstream audiences alike. In 2012, enamoured by their performance, Pt. Ravi Shankar himself launched the duo in the United States under his foundation. In 2016 Lakshay Mohan & Aayush Mohan were nominated for the Global Indian Music Award for Best Classical Instrumental. A disciple of Ashwini Bhide-Deshpande for 11 years, a stalwart of Jaipur Atrauli gharana, Dhanashri began to learn music at age of 16. Under her mentor, Dhanashri continues to imbibe the stylized aspects of the famed Hindustani Classical and Semi-Classical Vocal music tradition. One of the noteworthy upcoming performers, Dhanashri has won numerous awards and scholarships, including President’s Gold medal’ by All India Radio for Semi‐Classical and Light and ‘Sawai Gandharva Scholarship’ for Hindustani Classical vocal music by Arya Sangeet Prasarak Mandal, Pune. 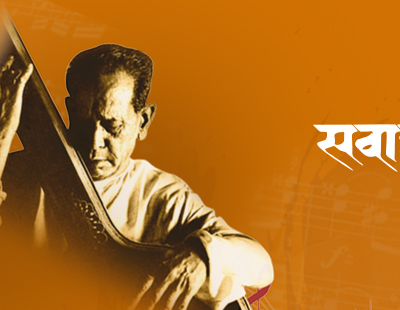 The Son of late Bharatratna Bhimsen Joshi, Shrinivas Joshi carries on his father's incomparable legacy with aplomb. Shrinivas's first public concert in 2001 was a great success. Since then, his flawless rendering of the ragas has captivated audiences around the world. He retains the essence of Kirana Gharana, but his exposure to diverse range music has added an evident layer of versatility to his music. Hailed as "the new king of Indian classical violin" by Times of India, Ambi Subramaniam first performed at the age of seven. At the age of 13, he was invited by the then President Dr. APJ Abdul Kalam to perform at Pravasi Bharitiya Divas. He was a featured soloist for the Sounds of India program. Ambi has been invited to perform at TEDx events to expose new audiences to Carnatic music, as well. The young genius has received the Ritz Icon of the Year Award, two Global Indian Music Awards and Big Indian Music Award for the Best Carnatic Album. “The Paganini of Indian Classical music”, “the God of Indian Violin” L. Subramaniam combines the serenity of an Indian musician with the magnetism of a western star. A true prodigy, he was honoured with the title of “Violin Chakravarthy” at a very young age. In his storied career, Dr. Subramaniam has produced, performed, collaborated, conducted and close to two hundred recordings. He has composed for, and conducted, numerous premier orchestras. He has composed for films. And, he has collaborated with many titans of Indian and world music. Uday Bhawalkar is among the foremost Dhrupad vocalists, and has been a catalyst of dhrupad music's rising popularity. With his soulful singing he has enchanted worldwide audiences. He has collaborated with many legends of Indian and world music. He has also contributed to the music of multiple International Art films. A disciple of Ustad Zia Fariduddin Dagar and Ustad Zia Mohiuddin Dagar, Uday Bhawalkar is a world-renowned teacher, who teaches dhrupad music at many premier institutes across the globe.